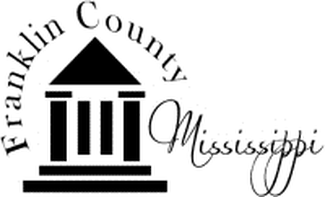 Franklin County was the fourth county formed in Mississippi, making our county one of the oldest of the counties in Mississippi. Our County was formed on December 21, 1809 from portions of Adams County and is bisected by the Homochitto River, which runs diagonally through the county from northeast to southwest. The territorial Governor at the time was David Holmes, who was appointed by President Thomas Jefferson. "Beginning at the point where the basis-meridian line intersects the river Homochitto, and pursuing the said meridian line until it intersects the line dividing the counties of Adams and Jefferson, thence pursuing the last mentioned line to the western boundary of Washington County, thence pursuing the last mentioned line until it intersects the northern boundary of Amite County, thence along the said last mentioned boundary line to the point where it intersects the said river Homochitto, and thence Pursuing the meanders of said river to the beginning." Following LaSalle's trip down the Mississippi River, the Franklin County area was recognized as being populated by the Natchez Indians. The French built their second settlement at Fort Rosalie (now Natchez) in 1716 and other settlements followed quickly. The growth of the area was slow. Notable land deals like the speculative Mississippi Company's deal led to the financial panic in 1720 known as the bursting of the Mississippi Bubble. The Natchez Indians grew restless as French settlers began to take over their lands. They attacked Fort Rosalie in 1729 killing many settlers. Following this attack the French retaliated by virtually destroying almost all of the Natchez Indians. With the signing of the Treaty of Paris in 1763 after the French and Indian War, France ceded its territory east of the Mississippi River except New Orleans. This Mississippi area which included present day Franklin County became a part of British West Florida and was known as the Natchez District. The northern boundary extended to the mouth of the Yazoo River and this area witnessed a large influx of Anglo-Americans from the Atlantic Seaboard Colonies. During the American Revolution Spain seized the Natchez District and the remainder of British West Florida. When the American Revolution ended in 1783 Britain transferred the claim to the territory north of the 31 degree latitude to the United States. However, Spain refused to recognize the American claim to West Florida. It was not until 1795 that the Spanish agreed to the 31 degree north boundary and in 1798 the Spanish actually relinquished control of the Natchez District to the United States. In the meantime, the state of Georgia complicated matters by asserting a claim to the area. Georgia had actually sold land to three companies of eager speculators and Georgia passports were issued to settlers who would travel by land through the Creek Indian territory to the western Mississippi River settlements. In 1798 the United States Congress created the Mississippi Territory which included all the land between Georgia and the Mississippi River which was located north of the 31 degree latitude and south of a line running due east of the mouth of the Yazoo River. In 1804 this territory was expanded to include the land northward to Tennessee and in 1812 the rest of West Florida was included. On December 10, 1817 Mississippi was admitted as a state to the United States. The eastern part of the Mississippi Territory became the Alabama Territory. 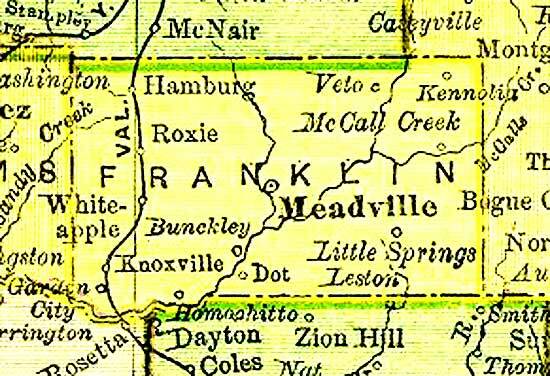 The Town of Meadville became the seat of justice about 1820, the original county seat having been located at Franklin about 2 1/2 miles to the west. In 1809 a citizens committee made up of Richard Coleman, Stephen Middleton, John Spivars, Dougal McLaughlin, and Samuel Ratcliff, was formed to acquire land for a county seat. The county seat was moved to the new town of Meadville in 1920. The town was, named for Cowles Mead, who served as the second secretary of the Mississippi Territory. 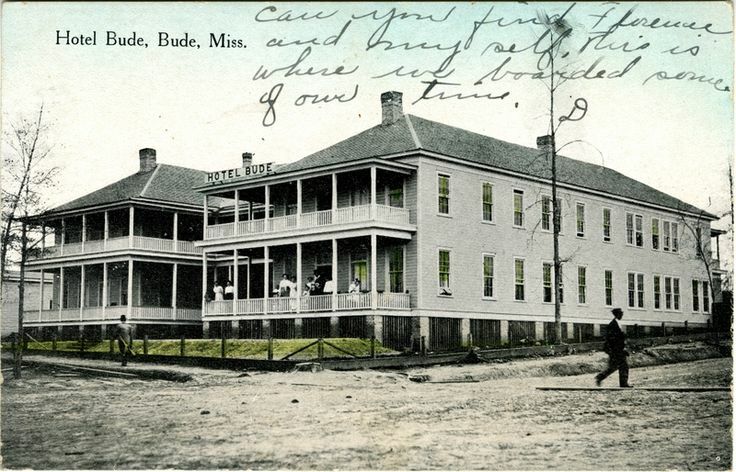 Meadville was incorporated as a Mississippi town in 1860. Mississippi Congressman Dan C. McGeehee was a native of Meadville. Franklin County has a total area of 566.74 square miles, of which 564.60 square miles is land and 2.14 square mile (0.38%) is water. The 2010 census recorded 8,118 residents in the county. Interestingly, the 1810 Federal Census showed a population of 2016. Neighboring counties are Jefferson County (north), Lincoln County (east), Amite County (south), Wilkinson County (southwest), and Adams County (west). Birth Records - The Mississippi Department of Health maintains records of births after November 1, 1912 on file and you can obtain official copies of birth certificates by mail by using the birth record application on their website. Death Records - The Mississippi Department of Health maintains births recorded after November 1, 1912 on file and you can obtain official copies of death certificates by mail by using the death record application on their website. Marriage Records - Marriage records may be obtained from the Franklin County Circuit Clerk's office. Divorce Records - Prior to 1859, divorce proceedings were introduced as private bills in the Mississippi State Legislature. References to these can be found in the books Index of Mississippi Session Acts 1817 - 1865 and Index to the Laws of the Mississippi Territory. These books can be found at the Mississippi Department of Archives and History as well as many other genealogy repositories and libraries across the state. After 1859, county divorce proceedings were filed in the Franklin County Chancery Clerk's office.